Herongate and Ingrave have a population of approximately 2156 residents and is set within a rural area surrounded by farm land and Thorndon Country Park North and South with colourful woodlands, birdlife, open parkland, fishing and family attractions. At its furthest the Parish is about 4 miles outside Brentwood Town centre. We have many beautiful walks and residents have the benefit of two Churches, St. Nicholas Church, Ingrave with an impressive 6 bells and Bell Ringing Group and the St. Andrews, Church, Herongate which is home to the Herongate War Memorial. 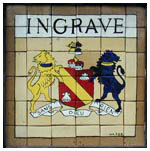 For the children there is a small school, Ingrave Johnstone C of E Primary in Ingrave which is adjacent to the local Playing Field with a playground and MUGA. There are also excellent senior schools only a short distance away in Hutton, Shenfield and Brentwood. For the sports enthusiast we have two Golf Courses and various exercise groups meet regularly at the Church Halls. For socialising there are three Pubs which serve food. 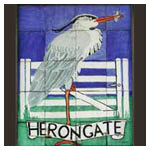 Herongate also boasts a village shop, a Dentist Surgery and a farm shop. Herongate Parish Council is a civil local authority and is the lowest, or first, tier of local government. The Parish Council is made up of 9 Councillors (currently 7 elected and 2 co-opted) and one member of paid staff; the Clerk who is also the Responsible Financial Officer. The Parish Council meets 10 times a year to discuss current issues and projects. All residents are invited to attend meetings and have an opportunity to speak at the Public Participation Session. Members are always interested to hear the views and suggestions of residents. We hope you find our website interesting and informative. If you should find any broken links or out of date information please do not hesitate to email the Clerk using the option at the top of the page.